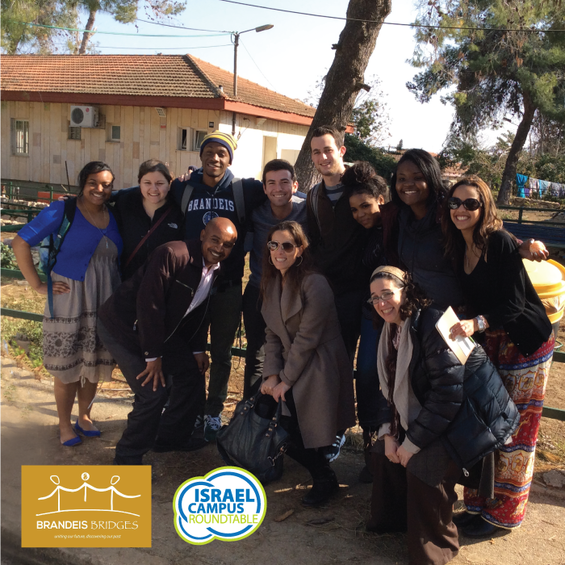 The five Black and five Jewish Fellows from Brandeis University arrived in Israel eager to begin our educational journey and excited to spend time absorbing the culture, the land, and gaining insight from our guide and each other. Most of the day was spent in the midst of the Old City of Jerusalem. We were able to trace the border of the city on the Rampart’s Walk, looking down at churches dotting the landscape and even sitting down to enjoy lunch in the Christian quarter with the sound of the Muezzin — the Muslim call to prayer — in the background. As we walked around the city we were able to look at and touch walls that marked where Jordanians ruled before 1967. The tour concluded at the Jaffa gate where one of our very own Fellows joined a street corner group in some a capella to top off an already amazing night! Sunday morning began early, as we prepared for our trip to the Ethiopian Absorption Center. At this center we were able to meet and fortunately speak with one of the many Ethiopian communities in Israel. We learned about the plethora of resources provided to them to help with their assimilation process and how many of the members of this community are given opportunities to use computers, experience Israeli grocery shopping, and we had the pleasure of viewing beautiful pieces of handmade art reminiscent of the Ethiopian culture. From there, we went to the Temple Mount, and subsequently the Kotel, and toured the tunnels underneath. We ended the night with a session with Palestinian journalist Khaled Abu Toameh, who commented on Palestinian and Israeli affairs. 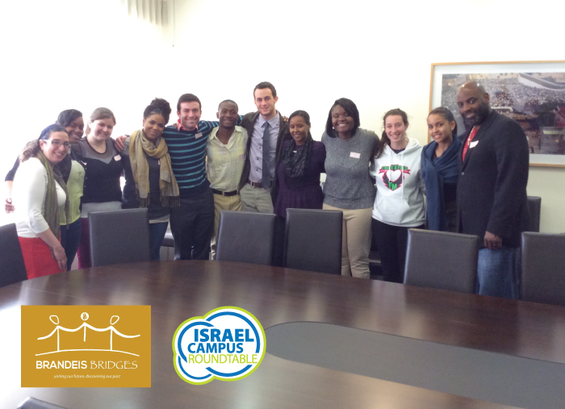 Amanda Anderson, Brandeis ’17, and Alex Thomson, Brandeis’ 15, are two members of the first delegation of Brandeis Bridges Fellows – dedicated to learning about each other’s heritage through a joint trip to the Holy Land, aimed at increasing engagement between the Jewish and Black communities back on campus.